Broadcom said Wednesday it has withdrawn its offer to acquire Qualcomm in the wake of President Trump’s order blocking the sale on national security grounds. “Although we are disappointed with this outcome, Broadcom will comply with the order,” the Singapore-based company announced prior to the opening of financial markets. The company also withdrew its slate of independent nominees for Qualcomm’s board. “Broadcom’s board of directors and management team sincerely appreciate the significant support we received from the Qualcomm and Broadcom stockholders throughout this process,” the company said. Qualcomm’s stock closed at $60.12 Wednesday, up 42 cents, while Broadcom’s shares were at $260.59, down 63 cents. 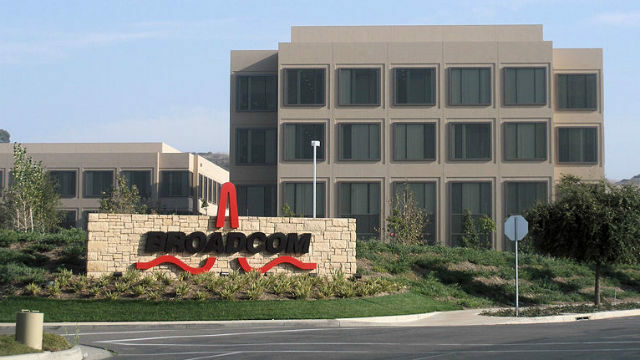 Broadcom had offered $79 per share in a deal that would have been valued at over $100 billion. Qualcomm repeatedly rebuffed the offer, leading Broadcom to nominate a slate of independent directors in a proxy battle. Then the government intervened.